Helping you understand the health status of individual patients, subgroups and whole populations. The Johns Hopkins ACG System models and predicts an individual’s health over time using existing data from medical claims, electronic medical records, and demographics like age and gender. You gain the insights you need to evaluate and compensate providers, stratify risk, identify patients who would benefit from care management and forecast health care utilization. 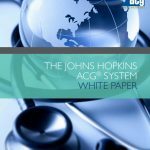 White Paper : The Johns Hopkins ACG System – Describing the key applications and unique benefits. Infographic: Population Health Analytics – Learn more about the Johns Hopkins population health analytics team’s capabilities. Video: Johns Hopkins Population Health Analytics – Learn how our team can help improve your population’s health and positively impact your health care costs. For more than 30 years Johns Hopkins statisticians, economists and health care providers have collaborated with users to continually improve the ACG System’s ability to describe population health. 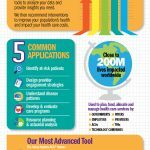 Close to 200 million lives are impacted by the ACG System worldwide as health systems, health organizations, insurance companies, accountable care organizations (ACOs) as well as individual clinics and clinicians rely on the ACG System for health care analytics and insights into population health. From the beginning, the ACG System has provided a more accurate representation of the health of the general population by transforming health care data into actionable information. By capturing the morbidity burden of populations, the Johns Hopkins ACG System helps explain and predict how health care resources are delivered and consumed. Click on below categories to explore these different application types in detail, or visit our Applications page to see more application types. Understand the health care needs of a population or subgroup. By taking into account the differences in illness burden among different patient populations, the ACG System helps you determine variations in disease prevalence as well as resource use. Optimize your case management and disease management programs. With the ACG System you can identify up to 25% more individuals for care management before they become high utilizers. Evaluate your provider network and individual providers. The ACG System uses a holistic approach to profile and evaluate your provider; examining health care expenses, practice patterns and the aggregate health of patient panels. You can use the ACG System to establish capitation rates, reimbursement rates and insurance premiums. You can also use it to allocate resources within a health system to appropriately target populations in greatest need. Version 12.0 of the ACG System software offers valuable enhancements, which provide an ever-growing and more sophisticated toolkit for managing population health. Johns Hopkins Community Health Partnership (J-CHiP) is featured in a Healthy Policy Investigation in the November 2018 edition of JAMA Network Open. The program, driven by data from the ACG System, also achieved significant cost savings totaling $113.3 million. Johns Hopkins HealthCare Solutions has been awarded a multi-year contract to analyze the health care data of more than 11,057,000 individuals across Italy’s Northern Regions using the ACG System. Researchers at The Johns Hopkins Center for Population Health IT have published research in the American Journal of Managed Care on the impact of lab tests on predictive modeling. The team at the Johns Hopkins University Center for Population Health Information Technology (CPHIT) and colleagues at the JHU Center for Drug Safety and Effectiveness have published research in BMC Medicine that reports on the development and testing of three measures of ‘high-risk prescription opioid use’ that can be derived from pharmacy claims data. Medicaid pilot program uses the ACG System to identify patients at high or rising risk. Care coordinators then offer appropriate support to those patients. The ACG System is the population-based case mix system with the largest footprint in the world. Professor Jonathan Weiner and Mark Cochran reflect on where the ACG System has been…and where it is going in the April edition of Health Data Management. The Center for Population Health Information Technology and the ACG SystemTeam recently published a breakthrough article in Medical Care presenting and evaluating the ACG System’s new expanded Geriatric Risk/Frailty Risk metrics for predictive modeling derived from both ‘structured’ and ‘free text’ EHRs. Professor Jonathan Weiner and Kumar Subramaniam share their thoughts on practical ways for health care executives to tap their data, as well as the specific challenges it poses for population health analytics. Three recently published studies applied the ACG System to pediatric populations. They use the ACG System to measure child health, to examine health care resource use and to gain insight into risk factors associated with repeat tests.